Dr. John Pinnella has been actively practicing cosmetic surgery for nearly 30 years, during which time he has helped thousands of grateful patients to look and feel their best. 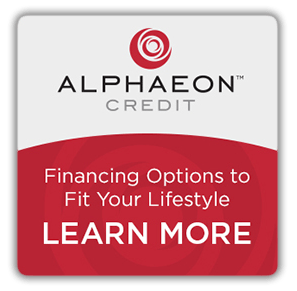 Throughout his career, Dr. Pinnella’s mission has been to understand his patients’ cosmetic surgery goals and pursue the option that will deliver the best possible results. As a result, his patients return to him and refer their friends and family for their cosmetic surgery needs, demonstrating their happiness and confidence in Dr. Pinnella’s ability. Dr. Pinnella earned his Bachelor of Arts degree at Hofstra University in Hempstead, New York and attended the State University of New York at Buffalo School of Medicine, where he earned his Medical Doctor degree. Dr. Pinnella completed his general surgery residency at the State University of New York at Stony Brook and his plastic & reconstructive surgery residency at the Baylor College of Medicine. Dr. Pinnella excelled in his residencies and was named Chief of General Surgery Resident and Chief of Plastic & Reconstructive Surgery Resident, respectively, during the programs. 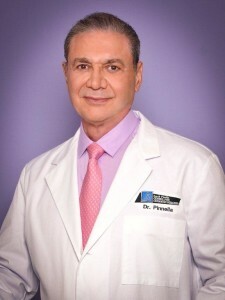 Dr. Pinnella is certified by the American Board of Plastic & Reconstructive Surgery and is a member of numerous renowned state and national professional societies, including the American Society of Plastic Surgery, International College of Surgeons, Florida Medical Association, Broward County Medical Society and Broward County Society of Plastic & Reconstructive Surgeons. Additionally, Dr. Pinnella received the Florida Medical Association Distinguished Physician Award in 2007. In addition to his cosmetic surgery practice in the United States, Dr. Pinnella has also traveled across the world to participate in projects such as the Interplast Plastic & Reconstructive Surgery Project in Lesotho, Africa and the ASPRS Educational Foundation South Korea Project. Dr. Pinnella welcomes new techniques, procedures, and technologies enthusiastically as greater tools to accomplish excellent results for his patients. As evidence of this fact, Dr. Pinnella has repeatedly earned the American Medical Association Physician’s Recognition Award in acknowledgement of his commitment to advances in the field of cosmetic and reconstructive surgery. Dr. Pinnella is affiliated with Holy Cross Hospital and Imperial Point Medical Center, both located in Ft. Lauderdale.